Great shot! Love the textures and stripped-down colors. All of this really works well! All I can say is, “Wow!’ 🙂 Great photo! Knockout! Wonderful colors and control. Thanks, Tim. 🙂 Appreciate that! That faint image of the tree down the fenceline takes this photo from great to WOW! 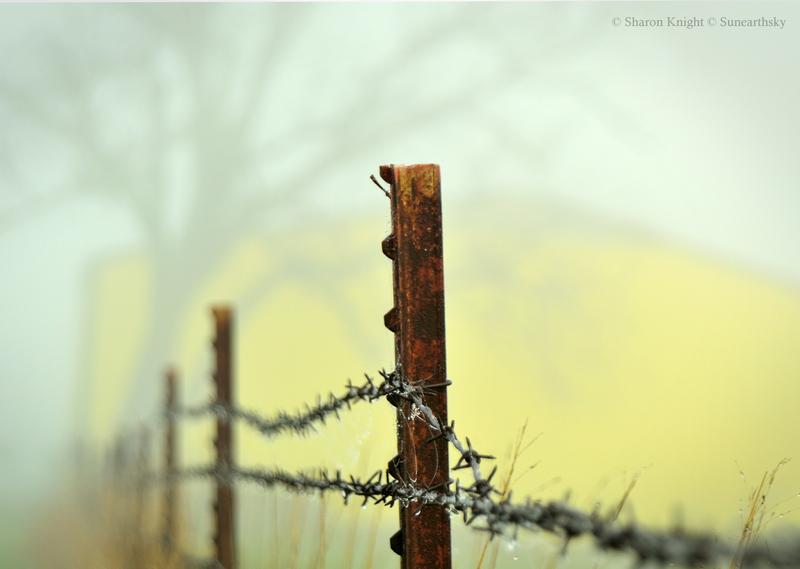 What a wonderful image Sharon , I just love everything about this one , the color the DOF and the foggy dew on the wire !! !